Spacious 2600+ sq. ft., 4 bedrooms 2 bathrooms with over-sized bonus room large enough for movie theater, play room, or in-home office. The choices are endless. Metcalf Homes to showcase this home for the Spring Preview of Homes April 27th & 28th from 11 AM - 5 PM! Spacious 2600+ sq. ft., 4 bedrooms 2 bathrooms with over-sized bonus room large enough for movie theater, play room, or in-home office. The choices are endless. The master suite features walk in closet, double vanity sink with granite counter top, grand soaking tub and gorgeous tile shower. Amazing kitchen highlighting an island and a beautiful view. Beautiful granite counter-tops, custom cabinetry and a walk in pantry. Engineered hardwood flooring throughout main living area. Walk over to the living room and marvel at the floor to ceiling stone work for the gas fireplace to admire year round. Heated 2 car garage and plenty of space for extra storage. Very energy efficient home with LED lighting, on demand water heater, natural gas and highly efficient 2 stage furnace. The Moose Park Subdivision is conveniently located within a short drive to downtown Wasilla. 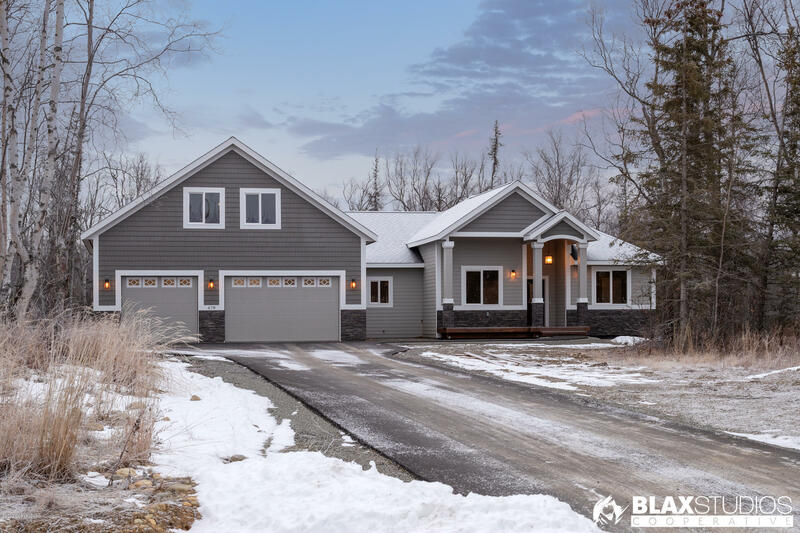 There is still time to customize this new home to become your dream home by selecting your own paint color, cabinetry, granite and flooring.